It's gray and cold outside, but at least it stopped raining. Remember how I told you about receiving 8 mini POM bottles from Kristen, the P♥M blogger? 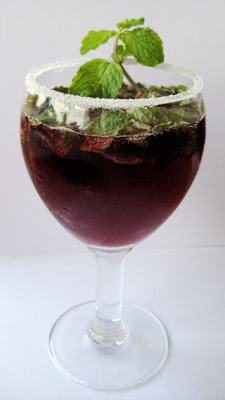 Well, not only did I use the juice to flavor water and to add as a glaze to brownies, I also made a Virgin POM Mojito with it last week. Why virgin? 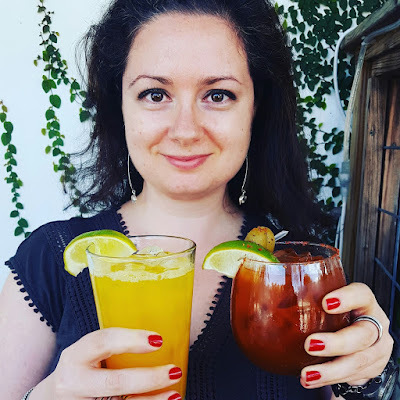 Because despite being Russian, I don't really drink much (you know, the stereotypes and all?). Plus, I did not have any alcohol at home other than white wine. 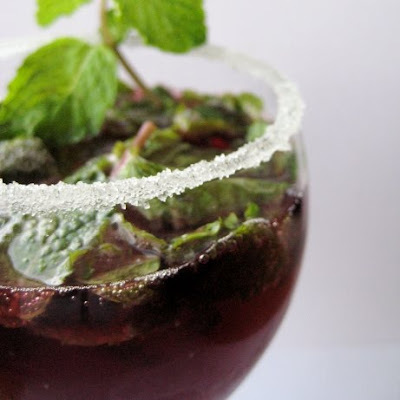 It's best to use a tall glass for this Virgin POM Mojito so that the mint settles on the bottom and you can enjoy the bubbly combination of Perrier and the sweet/tart flavor of POM. All of my tall glasses, however, are green, blue and purple, so I decided to use a wine glass instead to take photographs. 1. "Paint" the rim of your glass with a lemon wedge. Dip it in sugar. 2. 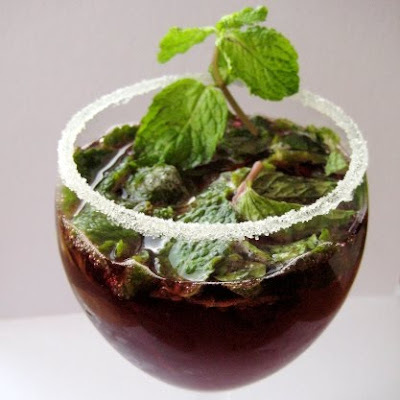 Put the mint on the bottom of the glass and using the handle of a wood spoon, bruise the leaves to release the flavor. 3. 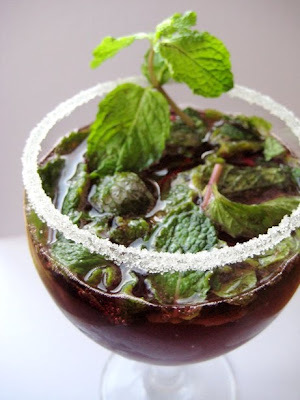 Top the mint leaves with POM juice and Perrier. Drink immediately. love the look of that Mojito! I love the photos! Very pretty. Great idea! Pom & mint definitely work! What a tasty & great idea, Olga!! I love mojitos. Pom sounds fabulous!